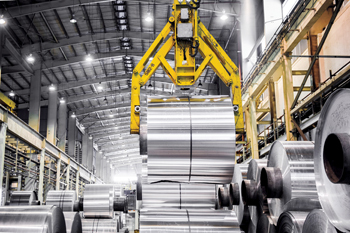 The proposed subsidiary will be established in partnership with Japan’s Mitsui and will have a processing centre for coils and sheets, said Garmco chief executive Jean-Baptiste Lucas. Garmco is currently in the process of shutting down a small plant in Connecticut, USA, and is also likely to wind down its operation in Suzhou, northwest of the Chinese city of Shanghai, as the company is focusing increasingly on its main subsidiaries in Singapore, Thailand, Australia, the US and Europe, said Lucas, adding that another project under consideration is the opening of a service centre in the Middle East. The site has not yet been decided but could be located in Saudi Arabia or in Bahrain. Lucas asserted the company has no plans to sell any more stakes in its subsidiaries, “unless we find the right partner and the right proposal.” In Q1 2015, it was announced that Mitsui had purchased a 25 per cent stake in Garmco Singapore, one of the largest non-ferrous service centres in Southeast Asia. By October of 2015, restructuring resulted in the closing of unprofitable subsidiaries in the saturated markets of China and Korea, and non-operating companies in Hungary and Cyprus, which did not add value to the company’s core activities. “All the subsidiaries we shut down were making losses. We stopped the bleeding,” Lucas asserted at a year-end review. He estimated Garmco would save around $3 million during a full year. He also said the company’s value-adding facilities have been making a net contribution to the bottom line, especially those in Australia and Thailand. 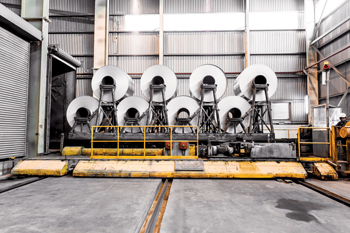 Production capacity at Garmco’s main mill in Bahrain is 160,000 tonnes annually while its foil mill can produce 20,000 tonnes. The sales turnover in 2014 was approximately $450 million, but both sales value and production in 2015 were down by around 10 per cent at a time when LME prices were still weak. Garmco ships some 75 per cent of its output to markets outside the GCC region. In 2015, the US contributed around 20 to 25 per cent of total sales, the best-yielding market. The Middle East was next with a share of eight to 10 per cent. But Southeast Asia and Europe slackened somewhat. “Competition from China was quite strong in Southeast Asia, and overall demand was slow in Singapore and the region as a whole. Europe, too, disappointed to some extent, not because of demand but mostly because of currency. The euro being weak and the dollar growing stronger, we had competition. We lost market share even though demand was good,” Lucas explained. In terms of products, those of the 5000 alloy performed well, making up a sizable share as a group. The 5000 alloy series has uses mainly in the trailer market and general engineering. “The trailer market is growing, particularly in the US, thanks to the applications it has in vehicles and also because aluminium is becoming more relevant as a metal,” said Lucas. The next important product was paint stock – the 3000 alloy market – linked to building and construction and contributing a big chunk of sales. Lucas highlighted that the company marketed several other products and that it was finding special uses for aluminium and developing new segments including one that is not yet present in markets but which pertains to the building and construction field. Garmco introduced no new product in recent years but is exploring different geographies and has developed its business in India and Vietnam. At a recent meeting in Bahrain, representatives of Garmco subsidiaries sought a clearer strategy and strong support from management while stressing the need to continue the focus on quality products to stay competitive. The company has an ongoing project for building a $55 million casthouse marked for completion before the end of 2017. Fives, an industrial equipment supplier, has been contracted to build the state-of-the-art facility. 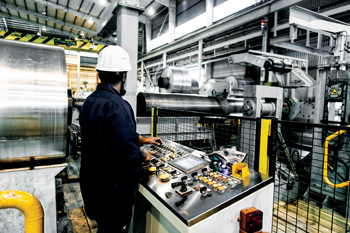 The re-melt facility is an EPC (engineering, procurement and construction) turnkey project, which will enable Garmco to develop its metal recycling capability and lower the cost of metal casting. Beyond that, Garmco could see a new foil mill of 30,000 tonnes as well as a continuous casting unit of 15,000 to 20,000 tonnes. The company does not have such a unit now. Lucas described 2015 as a year of significance with the revamping of its subsidiaries, staff restructuring, new management and the launch of the “strategic” casthouse project.